After doing her work experience aged 16 at her local newspaper, Taz Thornton impressed them so much that they created a position for her. By the age of 20 she was already news editor for the group and then did brief spells in marketing and PR. Her journalism career continued and she moved from the sleepy suburbs of Leicestershire to become a Chief Reporter in southeast London where the news stories were somewhat different. After being offered an editorship at a B2B publisher, she was head-hunted again and again and finally became the UK director for one of the biggest B2B publishing companies of the time. On paper, she had everything. But deep in her soul, she was far from happy which resulted in her breakdown (or ‘breakthrough’ as Taz prefers to call it). It wasn’t because she was stressed and overworked by the job, but because she’d spent all her time climbing a corporate ladder, only to realise it wasn’t right for her. Although not an easy journey, she eventually quit her job and now helps other people who are having a similar crisis in their own lives. Taz shares with us how important it is to take responsibility and to figure out what it is we want from our own life again. When Taz first quit her job and went self-employed, she was in a bubble of never wanting to touch the corporate world again. But after a while, she realised that in reality that would mean she was shooting herself in the feet. We live in a blame culture where people are quick to pass on the responsibility, and as such put the blame at the door of the corporate world. Ultimately, they followed the ‘wrong’ path in life. We wear multiple layers of masks and coats which show to the world what we think we should be doing because of peers, family, and TV. As a result, we’re hiding our true selves. Being career driven, people dive head-first into the corporate world, then realise they’ve done the wrong thing. Or, one day the reality hits them that they’re driving a few hours a day in a company car they don’t get to enjoy, to go to a job they don’t enjoy, so they can pay for a mortgage on a home they don’t spend enough time in to enjoy. Taz’s corporate job, of course, paid well. But when she quit, she had no savings with piles of debt, as well as a deep knowing that if she didn’t leave, she’d probably die now being at a low point with her depression. Even though there was no safety net in place, she just had to take that leap. Back in her teenage years, she wanted to write and change the world, and whilst working in local and national newspapers, she felt she was doing that. But the more she got promoted, although good for the ego, it was crushing her soul as she moved further away from what she wanted to do. Where she was once doing good in the community, she was now spending her days dealing with disgruntled staff, attending board meetings and traveling internationally where she saw nothing but airports and hotels. By this point, she’d already escaped an abusive relationship by taking crazy risks, but it was a series of events over the course of eight weeks that made her realise she needed to make a change. Her uncle and then father died, and whilst on a business trip a few days later, her parents’ home was burgled. A close friend was then diagnosed with a serious illness and her partner was made redundant before some family debt she’d known nothing about came to light. It was when sat crying and rocking under her mother’s dining table that she realised something had to give. But she then spent another four years carrying on, putting on her pin-stripe jacket and game face to hide behind every day, whilst crying every lunchtime and evening. It was her supportive partner who finally told her that she simply couldn’t carry on like this, no matter the fallout. The only time Taz did enjoy work was when she saw other people struggling, and could then help them to become happier and therefore better at their job. By the time she did leave, Taz had gained a raft of new skills in helping people to realise they were going to crash before it happened. She helped people to understand that despite the masks, it is okay to take them off. And that’s what she does now. The key moment for Taz in all of this was when she had a chance meeting with a Cherokee medicine woman. She said that one of the biggest reasons people neglect to take a leap of faith is because they forget their creator will catch them. No matter your religious beliefs, for Taz that helped her to realise she’d gone off her track of helping people in order to build her ego. But now, she’s gone full circle in helping others like herself. She is a big believer that when you know what you want, aim for it and keep moving towards it, something will happen. Whether that’s as a result of the universe providing you with opportunities, or just because we become better tuned to notice those opportunities, who knows? But when she quit her job, she’d had the skills and knowledge, and was looking to challenge herself. A matter of weeks after leaving, she had a call asking if she wanted to train as a firewalking instructor. It ended up being one of the most intensive personal development programs she’s done. From that, she has developed a method of creating sustainable change for people and accepting responsibility. The teachings of the glass and fire walkers and shamans are essentially about giving 100% of your focus to what you’re doing at that moment. We’ve been told to multitask, but in reality, it is impossible as you’ll never be able to do something 100%. When Taz goes into a corporate environment to help a team to gel together, she doesn’t give them raft a building exercise to complete. What she’ll do is get everyone in a circle and tell them that there is no hierarchy in the circle; meaning that anything said will have no repercussions outside of the circle. She uses the talking stick method which means that only the person holding an object can speak, meaning everyone has to listen and respect what is being said, but with everyone having the chance to talk. This teaches listening, which is something we all think we can do. Except, what we’re ‘listening’ to doesn’t usually have our full attention, or if we are listening, it’s to compete. It also teaches people to speak the truth freely without being judged, and that’s invaluable in the workforce. If a team doesn’t feel heard, it doesn’t feel appreciated, and then the team cannot be productive. 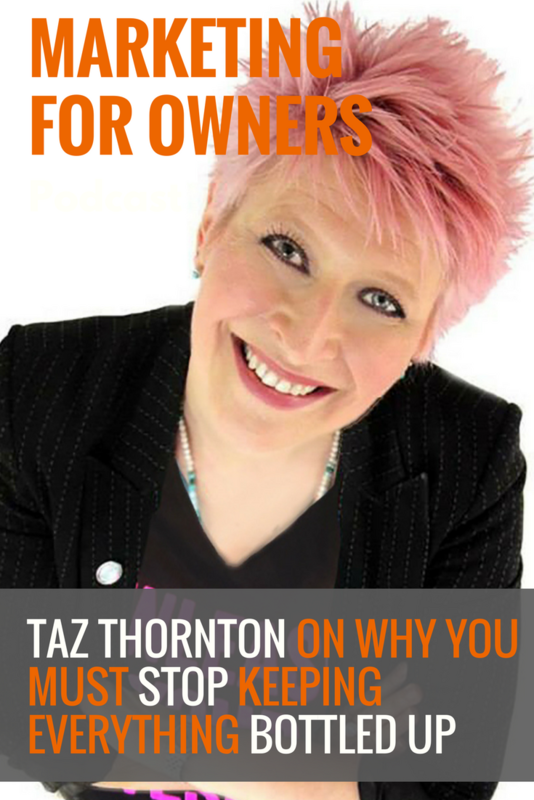 For her individual seminars, they are much more focused on people who don’t feel fulfilled or empowered who have lost who they are – just like Taz did once – when life looks great on paper, but not in reality. It helps people to realise what they want to do, rather than having that mask and coat of what they think other people want them to do. In the workplace, all of the care, work and attention go to the people who break down in the middle of the office, and not to the stoic person in the corner who is just one step away from their breakdown. Not only does this require business owners and managers to become better at recognising when things are getting too much before it becomes a problem. It also requires the people themselves to recognise it and to speak out. For Taz, she kept hers bottled away out of an unnecessary respect for work ethic. For others, it might be not wanting to stand out in the crowd or not wanting to come across as weak. Trouble comes from bottling things up and it takes courage to let go of the emotions. But like a bottle full of fizz shaken up, it will bubble up until it breaks and explodes under the pressure, so avoid letting yourself reach that point before it is too late. When looking at the adversity in your life, look at the teachings and how you can use them to enrich your own life and others. To find out a lot more about what Taz Thornton does, you can find her on Facebook , on Twitter and on the website. It’s where you can go to find out more about how you can start to make those positive changes in your life, and find out about her upcoming events. You can also check out Taz’s book Whispers of the Earth, and make sure to look out for her next door Unleash Your Awesome coming out in Spring 2017.